Back to the Future III 11 x 16.75 inches. Comprehensive drawing/ Design for the Movie poster. 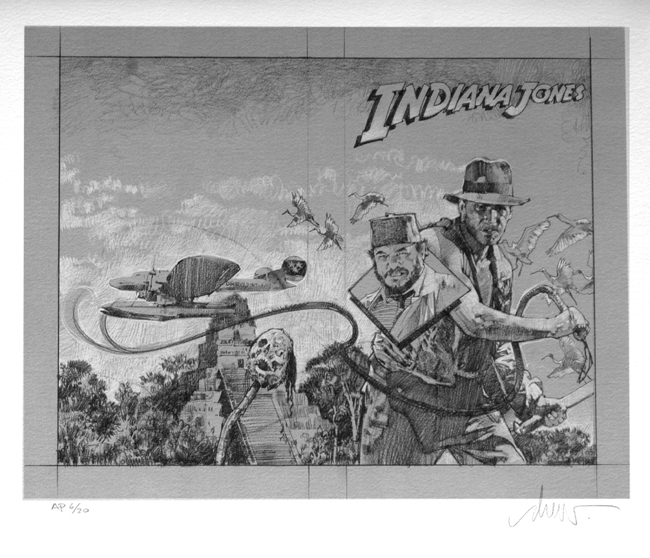 Indiana Jones: Philosopher's Stone 16 x 14 inches. Comprehensive drawing/Design for book cover. Star Wars: Tyrant's Test 16 x 14 inches. Comprehensive drawing/Design for book cover.